Assign simple tasks. Most families worry about their senior’s safety at home. When their aging loved one shows signs of memory loss or self-insufficiency, their primary resort is to keep their aging seniors away from harm. This could mean not letting their seniors cook meals in fears of forgetting about turning off the stove or doing the laundry because they seem inefficient – And the list can lengthen from here. In turn, seniors feel hooked on others and isolated from household matters. 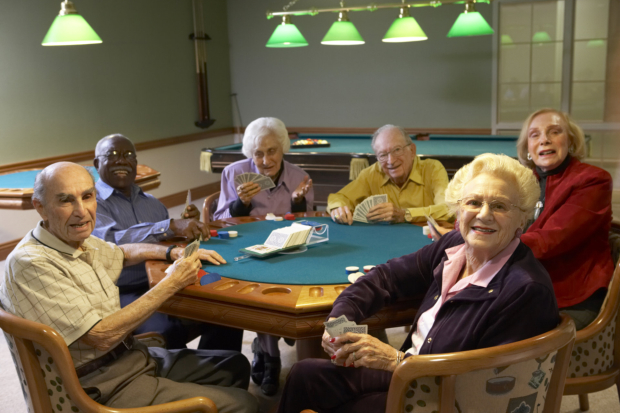 Seniors love to exercise their independence and to feel included in a household. They want to feel in control by taking on responsibilities and doing familiar tasks. Instead of shutting their abilities, consider delegating simple tasks. Those household chores that require less physical efforts, like dusting the furniture or watering the plants can be a good start. Enjoy outdoor activities. Spending most of the time sitting in a nook or doing routine activities at home can bore your seniors. Spice up their day-to-day by engaging in exciting outdoor activities. What’s your senior’s favorite childhood game? Or, what sports do they play when they were young? You can organize the activity, gather around your family members and friends, and play it for old time’s sake. Aside from strengthening family bonds, helping your seniors engage in fun-filled physical activities can keep their bodies in tiptop shape. Just remember to keep every physical effort light and easy to your aging beloved. Have a picnic. Of course, because who doesn’t enjoy a lovely sunny day in the outdoors as they munch on a tasty sandwich? This is a great activity to visit a nice park, enjoy the fresh air, and play along with the family. If you’re looking for picnic alternatives, you can try fishing instead! Take your family to the lake and make new memories together. Travel with the family. If you’re planning to take your family on a vacation, make sure your chosen destination is suitable for all family members. There are many great places you can visit and enjoy without risking your senior’s health and comfort. Long road or plane rides may make them nauseous or extreme weathers may stir their health concerns. It’s best to get their physician’s clearance prior to taking off. Tap into your creative outlets. Call in the entire household for a creative session! Painting, playing guitar, or dancing – everybody has a special talent, so why not share it with the family? Make a new family tradition by learning a new skill every week. The youngster can showcase their talent in drawing, and the other family members will learn to draw. Next week, a new family member will present a dancing skill, and everyone will gather around and sway to the music. If everybody has presented their special skills, you can go forth by exploring new interests and unlocking new skills with the family – It could be writing, scrapbooking, or other creative outlets you can learn and develop. What’s your favorite activity so far? Do you have other suggestions? Let us know in the comments. Are You Looking for Home Care in Homestead, Florida? If you wish to take a break from caregiving, it’s best to explore your options for personal Care in Florida. Lucky for you, Courage Living Care & Services, Inc. provides Respite Care to families, too! Ask us about it by calling 305-910-5460 or visiting our website at www.couragelivingcare.com. This entry was posted in Home Care and tagged Companionship, Elderly Care, Home Care, Homemaking, Personal Care, Respite Care. Bookmark the permalink.